2. On the left hand side click Staff Members. 3. Edit Staff Member whose calendar you want to Sync. 4. 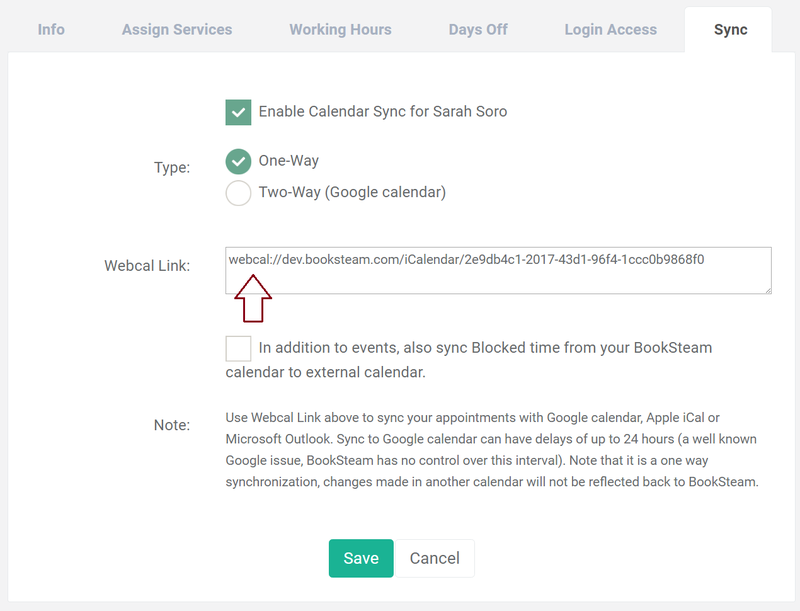 Select Sync tab and check box ‘Enable Calendar Sync for Staff Member’. 5. 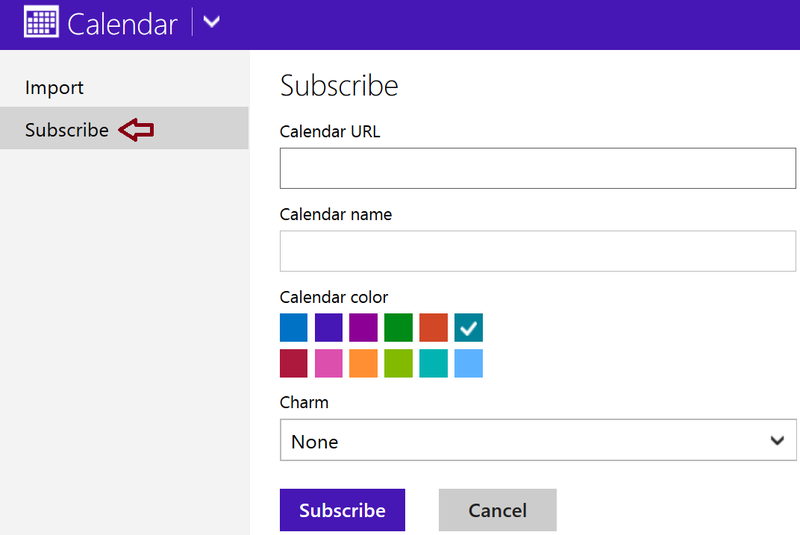 Unique calendar (Webcal) link will appear. Copy this Webcal link and paste it into the other calendar program (see above). 6. Click Save. Make sure you click Save before adding Webcal calendar link to other calendar program. Note: This is a one way synchronization, changes made in another calendar will not be reflected back to BookSteam. 2. Select ‘Mail, Contacts, Calendars’. 3. Under ‘Accounts’ select ‘Add Account’. 6. Paste your BookSteam Webcal link. 1. Login into your Google calendar. 2. Look for ‘Other calendars’ and to the right click drop down arrow. 3. Click ‘Add by URL’. 4. Paste your BookSteam Webcal link in ‘URL:’ field and click ‘Add Calendar’. Note: Sync to Google calendar can have delays of up to 24 hours (a well-known Google issue, BookSteam has no control over this interval). 1. Login into your Outlook calendar. 2. Click ‘Import’ at the top. 3. Click Subscribe on the left hand side. 4. Paste your BookSteam Webcal link in ‘Calendar URL’ field, enter calendar name in ‘Calendar name’ field and click ‘Subscribe’ and you're done.